After years of turning the traditional brick-and-mortar bookstore business on its head, online retail giantAmazon is now taking aim at the publishing business by getting writers to ditch their publishers in favor of Amazon. The company is scheduled to publish 122 books this fall in print and e-book form, according to a report from the New York Times. The move puts Amazon in more direct competition with some of its largest suppliers, like Penguin, Random House and MacMillan. Read full story here. http://storify.com, a company building tools to help journalists, bloggers and experts curate the real-time Web. Storify stories have been viewed more than 13 million times on their site and across the Web since private beta launch in September 2010. They had 4.2 million views just in March. are 48 ways to crowdsource just about everything you can think of. listed for (nightly) rent by their owners. When you book through the site, the owner gets everything but the small cut taken by the booking site. Ideally, you get the kind of different vacation or business travel accommodations that you’re looking for. student contests to boot. The best algorithm wins the payout. based on points, which brainstormers can accrue in a variety of ways. brainstorming behind it. Prize money gets divvied up between the best 15 ideas. Kluster is another brainstorming site to check out. (or your fan page) devoted to the topic. and investors have to buy a minimum of ten shares. This entry ticket pales in comparison to the usual Broadway investor minimum of $25,000. sell the shares of his play in the first place, runs a site called The People of Godspell to continue the effort. swap lists, so people in this little industry can fine-tune their collections. facilitates the process and guarantees results. which gives you a more personal touch—and potentially more accurate information—during your mortgage hunt. their bank loans. The team with the best data prediction model wins your prize. submit your concept and let a pool of more than 100,000 designers compete for your prize. At the end, you get the design and the copyright. ReDesignMe is another website to check out in this space. also with a focus on small businesses. 16. Tapping your Twitter followers will help you gain real-time input on your products, services, and anything else you need to know. harnesses people you’re already familiar with. company. As with Twitter, offering a prize will often get you more responses. You can also use the site for ongoing collaboration. network, if you’re a small business owner, you can also crowdsource innovation through private groups on Facebook. fun, unless you’re the one making all the bad trades. and cut your grass the next day, for $19 and up. Anyone with a lawnmower, digital camera and computer can compete for a gig on this site. As a result, moonlighters and professionals are available at a moment’s notice, all from one central website. cycle, helping you bring your product to market quickly and efficiently. with the exception of a few with licensing issues, like Oasis in the UK—on demand and for free. you’re willing to pay, then sic the crowd on the task. The winner gets your prize. results. As with many crowdsourcing sites, the best or most extensive research, as determined by you, wins your monetary prize. but need good solutions. Whoever finds the winning solution gets the cash prize. photos. This changed the stock photo industry forever. Getty ended up buying it. such Flickr users have excellent photographs, meaning that companies seeking to crowdsource that function have good prospects here. “modest need” is met. The organization performs due diligence on the people in need, making the website legit and free of scammers. integrated, kind of a one-stop shop for both collaboration and labor. in finding the crucial updates you need. instant PR, without the legwork. 37. Like InnoCentive, Idea Connection taps the brains of engineers, scientists and other tech-oriented people to solve difficult problems. about the size of the cut that Idea Connection takes vis-à-vis other crowdsourcing helpers. provides a platform to outsource your R&D. miscellaneous tasks that come up in your business, there are a couple places that can help out. places). They can also help with custom projects for small businesses, as well as enterprise-level crowdsourcing projects. easy as plugging something into a machine translator—but with more accuracy, of course. the day. They’re only in Boston and San Francisco so far, but will hopefully spread to new cities soon. create videos with the given content and creative brief. After users finish the assignments, the company picks their favorite and pays. times people download their videos, so all is not lost, even if a user loses a contest. on recyclables; Freecycle, on the other hand, is the ideal place to dispose of and pick up things to upcycle. Fashism – Get Fashion Feedback Before Making a Purchase. The beta version looks really crappy but this New York start-up has just announced that it raised an angle round of funding led by A Grade Investments. 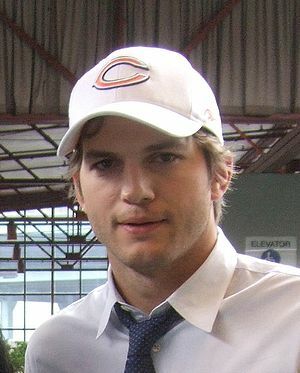 The fund was created by actor/entrepreneur/professional Ashton Kutcher. The New York startup offers a way to get fashion feedback before making a purchase. For example, if you’re not sure whether a jacket is a good buy, you can try it on, take a photo, ask how it looks on how, then read comments from other Fashism users. Fashism says its site has more than 40,000 registered users on its site, while its iPhone application has been downloaded 50,000 times. What a great project by David Rockwell (CEO Rockwell Group) and KaBoom an organization with the powerful vision to “provide a place to play within walking distance of every child in America”. Rockwell came up with this portable, all in a box, playground approach which brings Darell Hammond and his organization a lot closer to reach their goal.Anywhere, anytime. It’s activating and collaborative. Kid’s building their own playgrounds. All out of sand, water, loose parts and imagination. A place “where creativity can run wild” (New York Times). Kudos to David Rockwell for this child-centric, innovative playground concept. The news marked “a day for the history books — if those will even exist in the future,” quipped The New York Times. VentureBeat’s mission is to provide news about innovation for forward-thinking executives. In 2008, the New York Times called VentureBeat one of the “best blogs on the Web,” and now the NYT runs VentureBeat’s articles on its web site. In March 2009, VentureBeat signed a partnership agreement with IDG to produce DEMO, the leading conference for launching emerging technology products. A renovated gas station is the new home to Juerg Judin in the city’s Schoeneberg district. Here is an article from last weeks NYT. One of my favorite things on NYT blogs to read is “Abstract City” by Christoph Niemann. He is an excellent, keen observer of human nature and a great Illustrator. Data Visualization more old school but with a twist, if you know what I mean.